Despite the large number of books on stick and leaf insects published in recent decades, there have been few field guides. Indeed this is the first publication to use the term "field guide" in the title. It should be noted that for many of the more temperate regions the number of phasmids is small enough that they do not warrant their own field guide, and they are adequately covered in books on the orthoptera or insects of a region (the exception to this is Brock's Stick-Insects of Britain, Europe and The Mediterranean - although it covers a large geographic area). Identifiablity - is it possible to accurately identify specimens in the field? Size - the book must be easily carried alongside any collecting and photographic equipment. This means it must be small enough to fit in the side or top pockets of a rucksack, or in a camera or map case. Durability - you don't want the cover falling off or pages falling out! The issue of size remove Salmon's The Stick Insects of New Zealand and Seow-Choen's An Illustrated Guide to the Stick and Leaf Insects of Peninsular Malaysia and Singapore from being considered as field guides. These books are much better suited as reference works before and after a trip, as is Bragg's Phasmids of Borneo and Brock's Stick-Insects of Britain, Europe and The Mediterranean. These books may well be worth taking with you on your trip, but are best left behind where you're staying when you venture into the field. The only two previous publications that have use as field guides therefore are Seow-Choen's Phasmids of Peninsular Malaysia and Singapore (A Pocket Guide) and Brock's Stick and Leaf Insects of Peninsular Malaysia and Singapore. As would be expected these have a large overlap! Seow-Choen's publication is full colour throughout with every species photographed, Brock's contains the taxonomic detail supported by line illustrations. 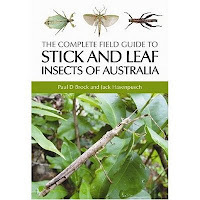 The Complete Field Guide to the Stick and Leaf Insects of Australia covers the middle ground between these two - albeit for a different region. Following a forward by David Rentz (a leading Australian orthopterist who has the genus Davidrentzia and species Onchestus rentzi & Sipyloidea rentzi named after him) the introductory chapters cover the basics of phasmid life cycle, anatomy and ecology. This in turn is followed by a chapter on collecting, preserving, photographing and rearing. The 'Guide to Species' begins with an overview of the subfamilies found in Australia. The book uses full colour photographs throughout, and all species are photographed. Where possible live insects have been photographed, but occasionally a species is known only from museum specimens. In the field for many people photographs of live insects are far more useful as colour (particularly bright colour) fades rapidly after death. For each species as well as photographs a distribution map is given, along with body length, field characters, habitat and often other notes of interest. One annoyance for specialists will be the lack of authorities for names in the main text, although these are given in Appendix 3: Checklist of Australian phasmids. Appendix 1 contains keys to Australian genera and species which are presented in an easy-to-use table form. Appendix 2 contains some brief notes on nomenclature, as well as listing major taxonomic publications of interest to those working on the Australian species. Appendix 3 is a concise checklist of species, with details of where to go for further information (http://phasmida.speciesfile.org is probably the easiest to access). Although I suspect that many copies of this book will not be subjected to the rigours of field work, it has a cover of thick card and seems to be well bound (this is in contrast to Seow-Choen's Phasmids of Peninsular Malaysia and Singapore (A Pocket Guide) which seems invariably to have poor binding). Brock & Hasenpusch (2007) updated the taxonomy of Australian phasmids, with the only subsequent changes (Hennemann & Conle, 2008) being too late to make it into this publication. 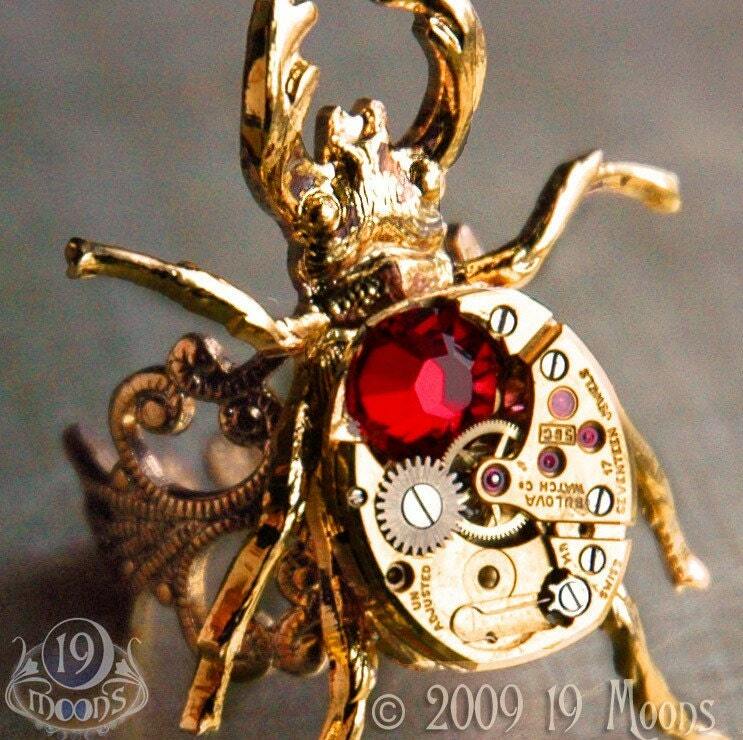 The book follows the checklist given in the 2007 paper, and is an ideal introduction to the Australian phasmids for the non-specialist, while still being an essential work for the specialist. Brock, P.B. (1999) Stick and Leaf Insects of Peninsular Malaysia and Singapore. Malaysian Nature Society. Salmon, J. T. (1991) The Stick Insects of New Zealand. Reed Books. Seow-Choen, F. (2005) Phasmids of Peninsular Malaysia and Singapore (A Pocket Guide). 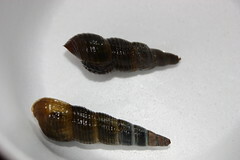 Natural History Publications (Borneo). 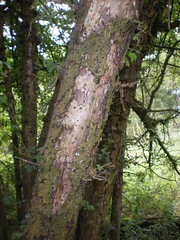 This tree seems to be covered in small grey fungi. Small prize to however can identify it correctly (and first). A festival-goer enjoys an insect pizza at one of the many food stalls at the Paleo festival in Nyon, Switzerland. 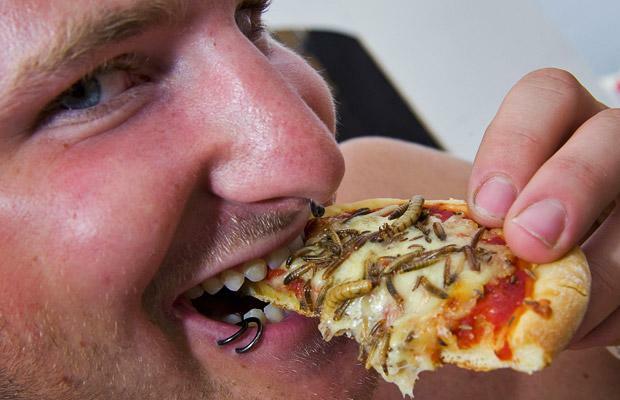 The pizzas are made with mozzarella, tomato, cumin, mealworms and beetle larvae. More Jellyfish: are they taking over the world? A few days ago I posted about large numbers of large jellyfish in Scotland. This time the jellyfish are much, much larger and from Japan. 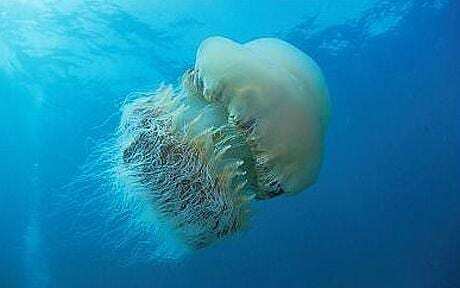 They occur in such large numbers they have been referred to as a "jellyfish typhoon". What's the problem? It cripples shipping boats and has "been known to disabling[sic] nuclear power stations by blocking the seawater pumps used to cool the reactors". The original story is here. A friend posted this on Facebook - so I repost it here. The movie (adapted from "The wasp Ampulex compressa, a predator of the cockroach Periplaneta americana" by Wijnand Heitmans; University of Amsterdam, 1986) shows the main events in the life cycle of A. compressa and the manipulation of its cockroach host. (1) Struggle: A parasitoid wasp locates a cockroach and grabs it by the pronotum. (2) Head sting: The wasp injects a venom cocktail into the prey's cerebral ganglia. The cockroach shown here was anaesthetized and tethered to allow filming from below. (3) Host feeding: The wasp cuts the cockroach's antennae and feeds off hemolymph from the cut end. Notice that the cockroach does not escape the wasp, although it is not paralyzed. (4) Host transportation: The wasp grabs the cockroach by the antenna stump and walks backward toward its nest, while the cockroach follows in a docile manner. Notice the expression of an alternating-tripod gait when the cockroach is following the wasp. (5) Host concealment: The cockroach is inserted into the wasp's nest without resisting or trying to escape. (6) Oviposition: The wasp lays one egg on the cockroach leg and exits the nest. The cockroach stays at the same spot, although it is not paralyzed. (7) Entombment: The wasp collects nearby pieces of paper and seals the entrance to the nest, while the cockroach waits inside. (8) Egg and larval development: A larva hatches from the egg, feeds on hemolymph (not shown), then penetrates the cockroach and consumes the internal organs. It is only at this stage that the cockroach dies and the larva pupates inside the cockroach abdomen. (9) Hatching: around 40 days after the egg has been laid, an adult wasp hatches from the cockroach's abdomen and exits the nest. I got these about a week ago. They aren't as amazing as some of the yellow-bodied species but are still pretty interesting. I have yet to create a setup where they can be photographed underwater - but when I do I will post some pictures. If anybody has any of this, or other species to spare please get in touch. I am very interested in keeping and breeding other species. It seems that the effect of an unusually warm sea temperature is to create large numbers of giant jellyfish. I don't see how that could possibly get blown out of all proportion if the News of the World got hold of it. Instead here's a rather sedate piece from The Telegraph. 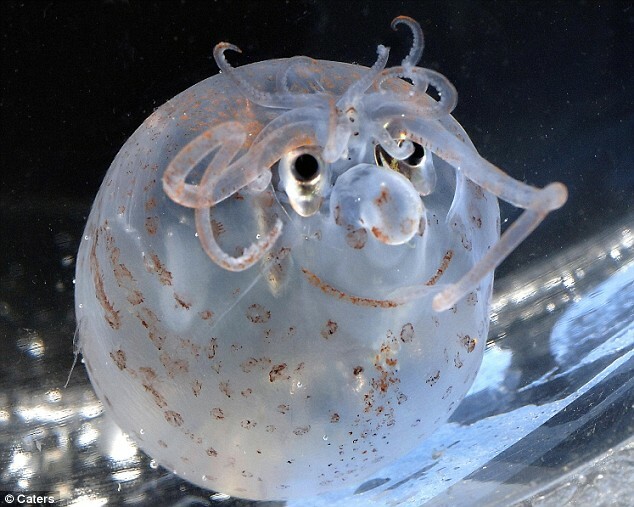 This is one of my favorite marine invertebrates, and it's quite unusual to get photographs of it. The photo was published in MailOnline.